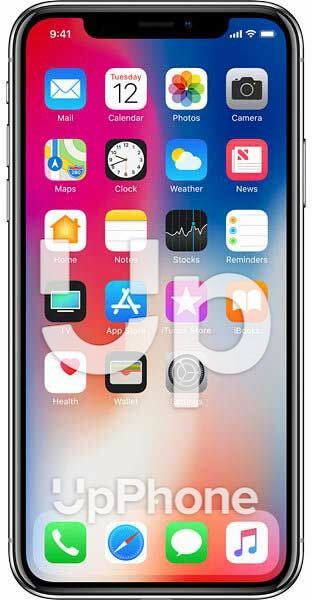 iPhone X Price, Review, Deals, Cost, & Sales! Home / Compare Cell Phones / iPhone X Price, Review, Deals, Cost, & Sales! The iPhone X, marking the 10 year anniversary of the original iPhone, brought the biggest technological advancements to Apple’s flagship product including Face ID and an OLED display. The iPhone X is the first to have an OLED (organic light-emitting diode) display. One of the biggest benefits of OLED is that it’s more power efficient than the displays of earlier models of the iPhone. OLED displays don’t have a backlight which illuminates the screen, a major power drain on previous iPhones. The iPhone X has a 12-megapixel (MP) camera. Every iPhone has had a 12MP camera since the iPhone 6s and 6s Plus. Although the camera is still 12MP, you can record higher-quality videos on your iPhone X than you could on older models of the iPhone. The iPhone X can record 4K video at 24, 30, or 60 frames per second. It can also record 1080p HD video at 30 or 60 frames per second. The iPhone X camera also has Quad-LED True Tone flash, optical zoom, and 6x digital zoom. The iPhone X has two different storage capacities: 64 GB and 256 GB. With that much storage space, you can save a lot of photos, videos, music, and more. To give you some perspective, the original iPhone came with 4 GB, 8 GB, and 16 GB storage capacities. The iPhone X’s dual stereo speakers deliver amazing quality sound whenever you want to listen your favorite songs our watch your favorite movies. The speakers of the iPhone X are located at the bottom of the iPhone to the right of the Lightning port and at the top of screen in its notch. One the new and exciting features introduced with the iPhone X was Face ID, facial recognition software you can use to unlock your iPhone X, buy some with Apple Pay, or confirm an app installation. Face ID works by using the cameras and sensors inside the iPhone X’s notch. Face ID is 20 times more secure than Touch ID, the security system used from the iPhone 5s – iPhone 8. The word “powerful” doesn’t do justice to the iPhone X processor. The A11 Bionic chip is the fastest to ever be put into an iPhone! This chip’s efficiency cores are 70% faster than the cores in the A10 Fusion chip, which is used in the iPhone 7. This chip’s three-core graphics processing unit (GPU) is also 30% faster than that of the A10 Fusion chip. The iPhone X has one of the longest-lasting batteries of any iPhone. In fact, the iPhone X’s battery is designed to last two hours longer than the iPhone 7’s. Your iPhone X battery can last for up to 21 hours of talk time, 12 hours of internet usage, 13 hours of video playback, or up to 60 hours of audio playback. The iPhone X has a water-resistance score of IP67, meaning it will be water-resistant if submerged up to 1 meter (roughly 3 feet) underwater. The iPhone X is also completely dust-resistant, as indicated by the “6” in IP67. The iPhone X was the first iPhone to have Face ID technology. The "X" in iPhone X is pronounced "ten", and this iPhone honors the ten-year anniversary of the original iPhone. There are more than half a dozen small components inside the notch of the iPhone X, most of which are sensors used for Face ID. At the time of its release, the iPhone X's 5.8 inch display was the largest display of any iPhone. The iPhone X was the first iPhone to be built with an OLED display. The iPhone X was the first iPhone to have Animojis, emojis which can track your face and copy your movements.